Passion for helping others and a true love for Chicago and the North Shore are the driving forces behind Jeff, whether it be in his real estate practice or in his personal life. 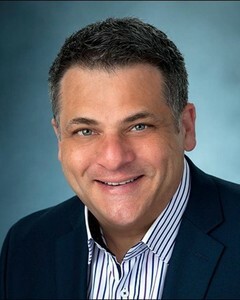 Jeff's experience in real estate, combined with his deep knowledge of Chicago's neighborhoods and Chicago's suburban neighbors on the North Shore, makes him an invaluable partner in buying or selling a home in Chicago and Chicago's North Shore neighborhoods. And that is just how Jeff views his relationships with his clients¦ as true partnerships. Real estate is a relationship-based business, and Jeff values this aspect most in his practice. He strives to build relationships with his clients based on trust, integrity and confidence. Jeff takes the time to truly understand the needs and wants of his clients, and thus becomes a vested partner in helping them to achieve their dreams. These powerful attributes combined with diplomacy, a good sense of humor, patience, kindness and the ability to act for the good of others have proven invaluable to Jeff. He keeps his real estate transactions in line with his client's goals. His clients are delighted with his ability to find the perfect home. Understanding the importance of educating his clients about the current market conditions, he provides the correct information for intelligent decisions on the purchase or sale of their properties. 10 REASONS WHY JEFF GREENSPAN IS THE REAL ESTATE AGENT FOR YOU! He will uphold the highest moral and ethical standards throughout any real estate transaction he's involved in. He has a total commitment to providing excellent service throughout the real estate transaction. As a real estate professional, he will be committed to negotiating on your behalf to help meet your specific goals and objectives. He will engage in a comprehensive networking strategy to assist in the purchase or sale of your home. He will utilize his experience, both in and out of real estate, to ensure your transaction is processed in the most trouble free manner possible. He will go the extra mile for you to make sure your real estate transaction is a smooth one. He takes pride in providing personalized service which means that he will be highly involved in the actual purchase or sale or your home. He will utilize technology to better meet your specific real estate needs, whether you are buying or selling. He will keep you apprised of current local real estate market conditions that can impact the purchase or sale of your home. He engages in a corporate level of marketing to make sure that your home gets as much exposure as possible if you are a seller and that you find the perfect home if you are a buyer.